Dimitris Serifis is board member of the International Federation of IT in Travel and Tourism (www.ifitt.org) and Chairman of IFITT Greece. He is co-founder and CEO of Nelios.com, an Innovative eTourism Digital Agency with a global presence. His expertise lies in management and developing strategic digital tourism projects, based on his technological background and solid experience in the UK travel industry. 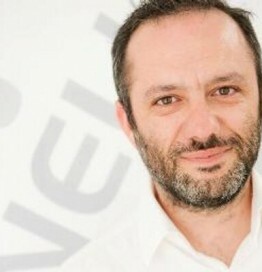 Since his involvement with Nelios.com, he has launched several pioneering projects within the travel industry, including the very first commercial dynamic packaging platform to exist in Greece. He has also worked as Web Operations Manager at Yourholidays.com and was responsible for the planning and implementation of the company’s eMarketing strategy. Today he is also Senior eMarketing Consultant at PurpleTravel.co.uk.